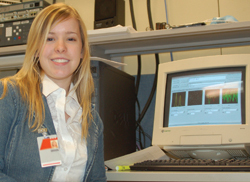 IT-Adventures students compete at IT-Olympics at HIlton Coliseum each year. 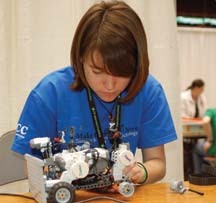 To prepare for a career in electrical engineering or computer engineering, it is important to take math and science classes, particularly physics, in high school. Also, take advantage of any computer or electronics courses your high school offers, or participate in after school clubs and activities such as the IT-Adventures program, FIRST LEGO League, and other similar programs. Iowa State offers camps and other engineering education programs for students in grades K-12 to learn more about engineering. For more information on pre-college preparation, check out the university’s Admissions Requirements.